Forget gold, art or jewels, wine is now the investor’s best friend. In 2014, more than $92 million US dollars was spent at wine auctions in America, making fine wine one of the best performing assets of the last 20 years. But if you’re not careful, your sweet investment could soon turn sour as Jerry Rothwell and Reuben Atlas’s documentary SOUR GRAPES reveals. SOUR GRAPES tells the true story of one of the most ingenious cons of our time. It charts the rise and deceit of Rudy Kurniawan, a wine connoisseur and trader who conned society’s elite out of tens of millions of dollars by selling an estimated $35 million in counterfeit wine. The story begins in the late 1990s at the advent of the dot-com boom. Seeking new avenues to spend their money, hordes of white, wealthy men began to spend thousands of dollars on a single bottle of wine to drink together in a single evening. A love for fine wine was soon born and an auction scene for sought-after vintages began in earnest. 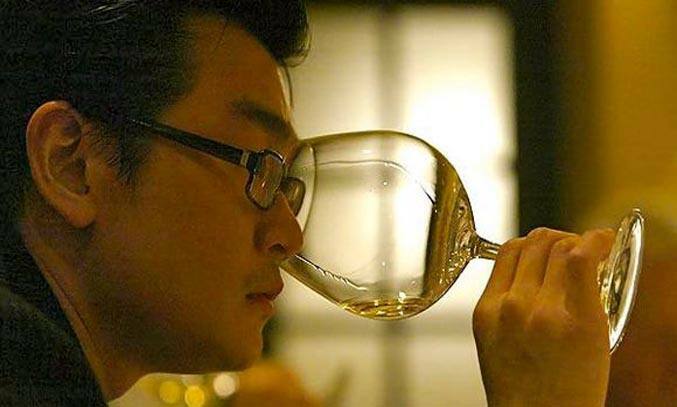 Enter Rudy Kurniawan, a charismatic Indonesian with impeccable English and an impressively deep wine knowledge. Thought to be independently wealthy, Kurniawan “revolutionized the market” when he almost singlehandedly hiked up prices by bidding high at auction houses, rendering the wine even more valuable for re-sale. Kurniawan was quickly accepted into America’s most exclusive tasting groups, befriending California big hitters such as RUSH HOUR producer Arthur Sarkissian and INSIDE MONKEY ZETTERLAND television director Jef Levy. Between 2003 and 2006, more than $35 million in bottles were sold from Kurniawan’s cellar. The story takes an intriguing twist when French winemaker Laurent Ponsot discovers some fake wines being sold under the falsified label of his family’s historic vineyards in Burgundy. Around the same time, rival collector Bill Koch discovers he’s paid $100,000 a bottle for counterfeit Kurniawan wine. The pair embark on independent private investigations which eventually dovetail with those of FBI agent Jim Wynne. Wynne searches Kurniawan’s property in Southern California and uncovers a large-scale re-bottling and re-labeling operation, eventually resulting in a 10 year jail sentence for Kurniawan for making and selling counterfeit wine. Intriguing, fast-paced and surprisingly entertaining, SOUR GRAPES’ appeal lies in its bizarre yet true story. Paced like a thriller, the 85 minute documentary plays out like a slick caper with filmmakers Jerry Rothwell (DEEP WATER) and Reuben Atlas (BROTHERS HYPNOTIC) holding back just enough information to make the eventual unfolding of Kurniawan’s con, all the more humorous and fascinating. But it’s the personalities that give SOUR GRAPES much of its kick. The documentary features a wide-range of talking heads from FBI agents and private detectives to international wine collectors, money men and outraged wine producers. Kurniawan’s “friends”, movie producer Arthur Sarkissian and TV/film director Jef Levy still can’t quite believe their pal was, in fact, a crook with Kurniawan playing his role so convincingly that Levy still seems to believe it was all just some sad misunderstanding. Few viewers however are likely to shed a tear for the gullibility of such wealthy connoisseurs. In reality, Kurniawan wasn’t even a good forger, misspelling labels and creating vintages that didn’t even exist and there is kind of cathartic pleasure in watching millionaires fall prey to a seemingly harmless hustler. Kurniawan also declines filmmakers’ interview requests, appearing only in archival footage filmed by his fellow tasting buddies, leaving us with some frustrating lingering questions about who the mysterious conman really is. That said, SOUR GRAPES is a light and breezy watch that is sure to appeal to both wine enthusiasts and film fans alike. An entertaining documentary which explores a world of greed, wine and money.